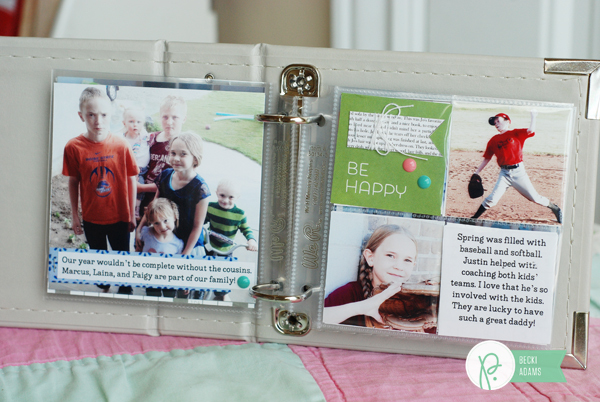 2014 Archives - Pebbles, Inc.
Hello, Becki here to share with you a mini album I created while reflecting on 2014. I love New Years, not because I love setting New Years Resolutions but because I love looking back on the year an remembering all the great things about the previous year. 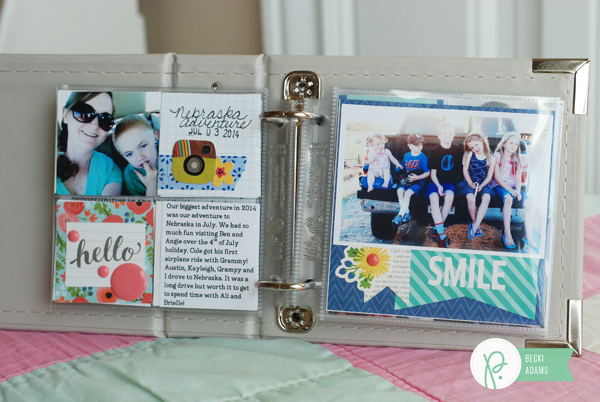 As a scrapbooker this usually involves looking through the hundreds of photos I’ve taken throughout the year. 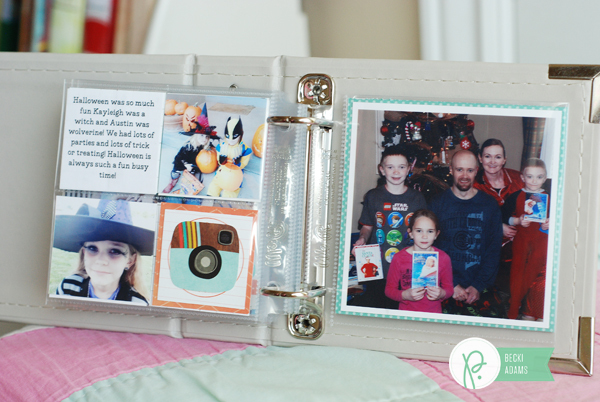 I always end up printing a ton of photos that I haven’t had a chance to scrapbook…yet. 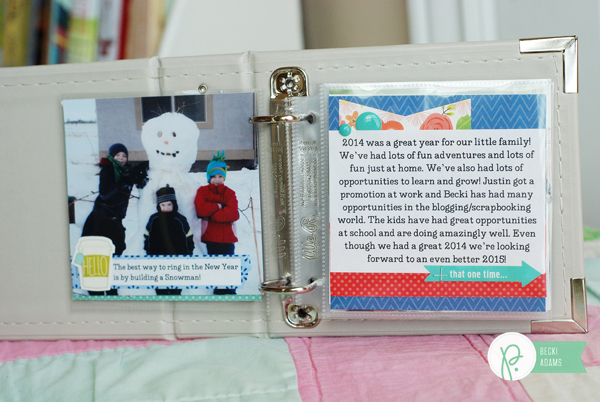 This year I decided to create a mini album highlighting some of the great times our family had in 2014. 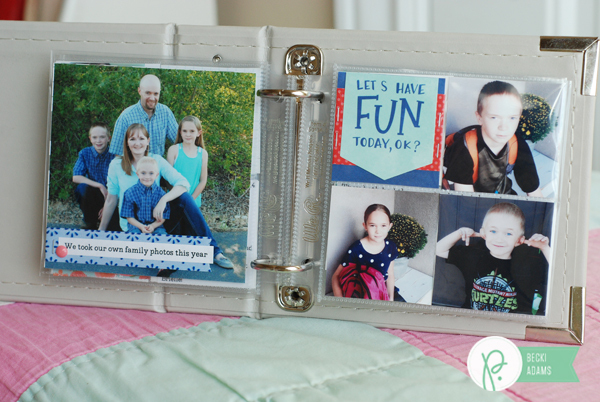 I used the We R Memory Keepers Instagram album and the Happy Day collection. The sheet of 2×2 cut apart squares was my best friend. These squares fit perfectly into the 2×2 sheet protectors. 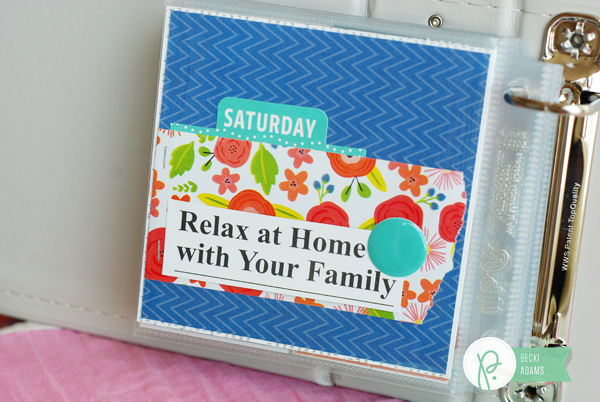 I embellished these little squares with enamel dots and stickers from the Happy Day collection. 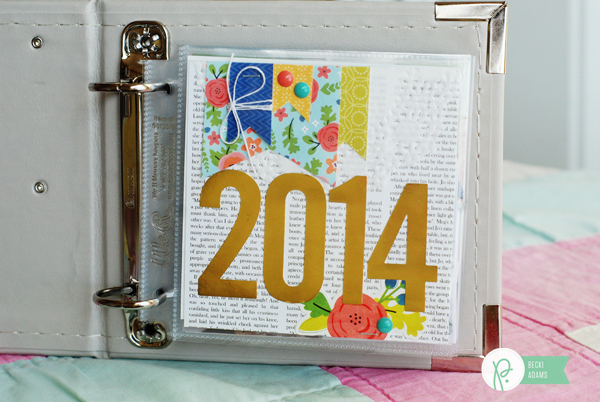 I wanted the “2014” to be very bright and eye catching, the gold letter stickers from the Home+Made collection are perfect! 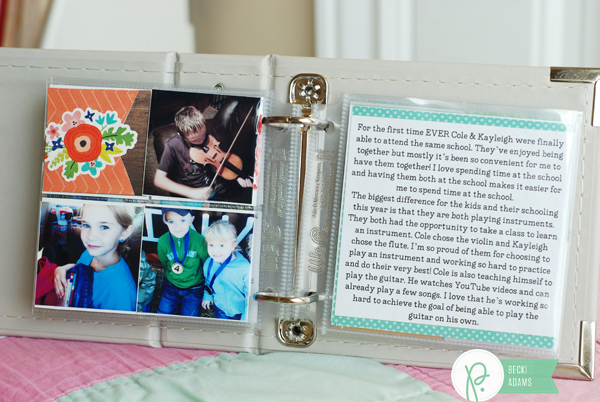 One thing I learned about journaling for an album like this is that you’ll want to print your journaling. Even though I’m a huge proponent of handwritten journaling I had a really hard time fitting all my journaling onto the 2×2 squares when I was writing my journaling printing it was much easier and it fit so much better. I printed photos that I wanted to be a focal point at 4×4. I kept the embellishments to a minimum so they would fit into the tiny pockets. 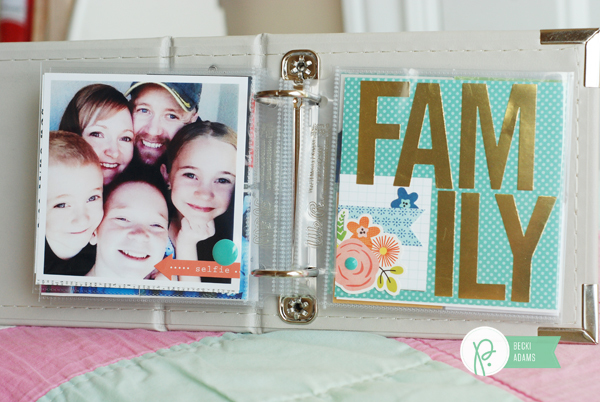 Enamel dots and stickers are the perfect embellishments for this album. I couldn’t document 2014 without mentioning our family vacation. With all 3 kids in school now we have lots of school photos and stories this year. Those gold stickers were to perfect for this album, I had to use them again. This year really was all about FAMILY! My hubby and I celebrated our 14th anniversary this year and I actually remembered to take a selfie of us. I added just a few holiday photos, these will be in other albums as well so I didn’t add too many of them. For the last page of the album I added the sentiment “Relax at Home with Your Family” because that’s really what we focused on this year was just spending time as a family. 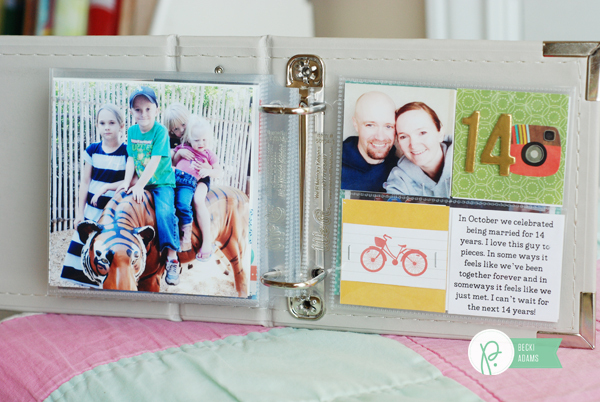 I LOVE how this mini turned out and I think I’ll make one of these for years to come it’s a great way to reflect on the previous year and document the memories that may have been forgotten.